The emergence of ISIS-inspired groups in the Gaza Strip has long been an open known secret. This is the inconvenient truth that Hamas has been working hard to conceal for the past few years. Obstinately holding on to an imaginary dream, some political analysts and journalists have misinterpreted the Hamas document as a sign of "moderation" and "pragmatism," and argued falsely that the Islamist movement is ready to join a peace process with Israel. Nothing could be further from the truth. Hamas leader Mahmoud Zahar could not be clearer on this point. Hamas, as we all know, is hardly opposed to suicide bombings. Yet when the boomerang returns, suddenly the attacks become "cowardly terror" actions perpetrated by "outlaws" and "intellectually and religiously and morally deviant" terrorists. Hamas, Islamic Jihad and ISIS may disagree on many issues, but targeting Jews and "infidels" is not one of them. On that point, they are in savage agreement.The Palestinian Islamist movement Hamas is finally getting a dose of its own medicine -- in the form of a suicide bombing targeting its members in the Gaza Strip. During the past two decades, Hamas was responsible for dozens of suicide attacks that maimed and killed hundreds of Israelis, particularly during the Second Intifada between 2000 and 2006. 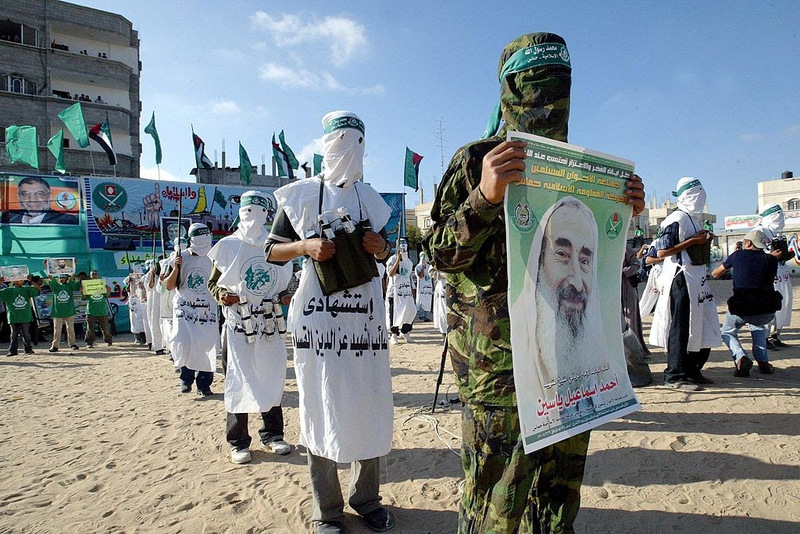 Hamas is famous for its suicide attacks and hails the perpetrators as "heroes" and "martyrs." For Hamas, suicide bombings are a noble deed when they are carried out by its members and the victims are Jews. In their own words, Hamas leaders and spokesmen continue to defend their suicide attacks against Israel as a "legitimate tool of resistance" against Israel. Recent events, however, may have left a bad taste for suicide attacks in Hamas's mouth.